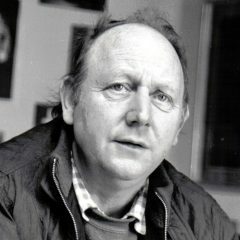 Frank Harte – Traditional Irish singer & song collector. Traditional Irish singer & song collector. 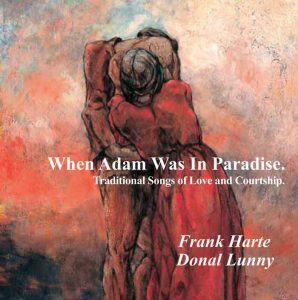 We are delighted to announce the release of Frank Harte’s collection of love songs, “When Adam Was In Paradise, Traditional Songs of Love and Courtship.” Again, accompaniment and production is provided by Frank’s longtime friend and collaborator, Donal Lunny. Frank’s daughter Orla compiled the CD which is released with customary detailed sleeve notes, compiled from Frank’s original notes. The album will be launched officially at An Góilín, The Frank Harte Festival 2016 is from 23rd September 2016 – 25th September 2016, at The Teachers’ Club, 36 Parnell Square, Dublin 1. Weekend registration covering all events is €40. This September, the festival will once again celebrate and commemorate the life and work of Frank Harte. Special Thanks to The Arts Council for making this release possible. 2. Adam In Paradise. 1.50. 3. As I Roved Out. 2.25. 4. I Am Stretched On Your Grave. 3.38. 5. Sile Ni Iyre. 2.07. 7. Spailpín A Rún. 2.05. 8. The Brown And Yellow Ale. 3.02. 9. The Lover’s Ghost. 3.16. 10. The Bonny Blue Eyed Lassie. 3.54. 11. Red Roses For Me. 2.22. 12. The Lambeg Drummer. 4.09. 14. I Wonder What’s Keeping My True Love. 4.54. 15. Woods Of Truagh. 4.42. 16. The Holland Handkerchief. 4.21. 17. Aisy And Slow. 3.05. 18. True Lover John. 2.45. 19. The Deserted Wife. 1.52. 20. Sweet Sorrow In The Wind. 2.47. Below is the foreward by Orla Harte from the sleeve notes. My late father Frank Harte spent a substantial portion of his life singing and collecting traditional Irish songs. In the early days, he travelled the length and breadth of the country with his reel-to-reel recorder, listening to, recording, and cataloguing songs being sung by traditional singers who have long since passed away. He later brought his cassette recorder to pubs and sessions, recording new and old songs from all aspects of the traditional music spectrum. During his life he recorded eight albums. His first and second albums focused mainly on Dublin Street Songs (1967), Through Dublin City (1973), while his third and fourth albums were wider collections of Irish songs, And Listen to my Song (1978) and Daybreak and a Candle End (1987). Frank always said that ‘those in power write the history while those who suffer write the songs’ and he was anxious to represent this by recording what he felt were the ‘unofficial’ accounts of events as written by the people who experienced them. For his next series of albums, Frank set about creating a body of work by researching and recording collections of songs based on individual themes, which he felt were important topics in our history. These albums were titled, 1798 The first year of Liberty (1998), My Name is Napoleon Bonaparte (2001), The Hungry Voice – The song legacy of Ireland’s great hunger (2004). Each of these collections of songs was accompanied by copious sleeve notes which were more akin to a short book, and the inclusion of extensive and painstakingly researched sleeve notes was an important part of the work. Frank felt that it gave a context and setting to each of the songs, and these sleeve notes were included with each of the albums he completed before his death. Frank passed away in June 2005 just days after completing the recording of his eighth album ‘There’s Gangs of them Digging’. The mastering and production was subsequently completed by Donal Lunny, and it was finally released in late 2006. Thankfully the notes and background to the songs were completed as the recording was ongoing, which ensured that his last studio album was accompanied by his own meticulously prepared notes. Always having a future project in mind, Frank had decided that his next album would be a collection of love Songs from the Irish tradition. This project had, however, only progressed to the point of him compiling a list of love songs for inclusion on the album which was pinned to the notice board in his office. Love songs, he felt, were as important a part of the tradition as songs of war, famine or politics, and he gave a concert in Bantry House in 2004 as part of the Masters of Tradition series with his good friend and Producer Donal Lunny based on the theme of traditional love songs. There he spoke about making that album and how important he felt was the story behind the songs. This concert was recorded, and many of the songs he sang that night have been included on this album. Finding suitable recordings has been a difficult task as he did not often sing love songs in a setting where high quality recordings were being made. That being said, I have spent time over the last few months collecting recordings of Frank singing songs from his list from various sources. I have been helped greatly in this regard by Donal who has done a great deal of work ‘cleaning up’ and mastering the recordings in order to make them suitable for inclusion. I am also very grateful for the help of Phil Callery, without whom I would likely not have attempted such an undertaking. For this album, Frank had not begun to prepare any sleeve notes before his death, so I have compiled many of his lecture notes which give some of the history and context of the songs. They are presented here in his own words, unaltered, as he delivered them to numerous audiences. I would also like to thank Dave Turner for his work on preparing these notes for inclusion with the album as he did on previous releases. Frank’s collection of songs is probably one of the most comprehensive and important collections in existence and his own albums are a part of it. His albums show a depth of feeling and understanding of the importance of these songs to the Irish Tradition and its people, and a genuine desire to keep that tradition alive.